Mr. Barry Zimmerman attended Brooklyn College for his undergraduate schooling. Long Island University masters in microbiology. He has been teaching for 36 years. He started teaching biology, then chemistry, then physics and astronomy--essentially all the disciplines of science to date. 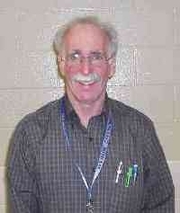 Currently, he teaches astronomy at West Windsor-Plainsboro High School North in Plainsboro, New Jersey, United States. Along with his brother, he authored Killer Germs, a book documenting the history of disease as it affects human beings. In the book, he discusses the germ theory, bacterial diseases, recent concerns such as the flu and lime disease, antibiotics, and the threat of bioterrorism. It has received a 5/5 positive rating on Amazon.com and is a very captivating work on disease and pathogens even for the person who knows nothing about the subject. Barry E. Zimmerman is currently considered a "single author." If one or more works are by a distinct, homonymous authors, go ahead and split the author. Barry E. Zimmerman is composed of 1 name.